If you are not a sea sick person then boating is the most exciting and the best way to travel the most beautiful places on earth. Enjoy the blue waters, the greenery and the royalty of Europe through recreational boating. Here are some of the beautiful destinations of Europe where imagination of the boaters meets the reality. 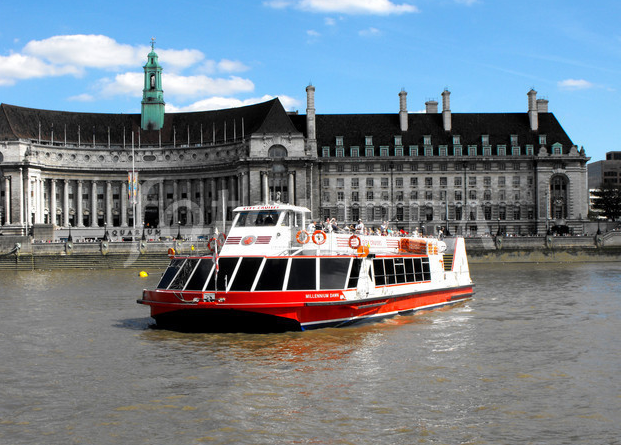 Situated in U.K, River Thames is one of the best holiday destinations for boaters. Thames wonders through the beautiful greenery of south England with number of entertaining riverside pubs. World’s most historic waterway is famous for fishing, bird watching and royal castles, palaces and gardens. It is the perfect holiday destination for your kids with its LEGOLAND wind sort resort which provides fun rides and beautiful shows mainly for children. It is also one of the famous grounds for fishing. There are number of fishing sites mainly for tourists who enjoy fishing with various types of fishes such as pike, roach, chub and many more. 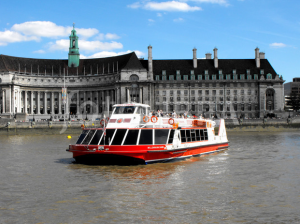 One of the main attractions of river Thames waterway is the royalty it provides along its coast. Glorious Windsor Castle and Hampton Court Palace take you back to their times. It also provides number of beautiful royal gardens where you could spend time with your family peacefully. The pubs also have royalty attached to them. Some of them were built 500 years ago!! If you are looking to purchase sailing equipment, visit U.K’s one of the online stores which specializes in boats, yachts and sailing equipment http://www.sailingbuy.co.uk/buying-sailing-gear/ along with http://www.force4.co.uk/ and ebay http://www.ebay.co.uk/sch/Boats-Parts-Accessories/169485/bn_1838623/i.html. It provides list of most trusted store to purchase sailing equipment and accessories. 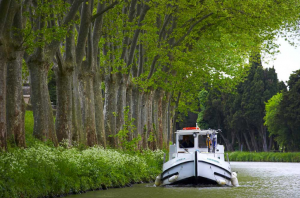 Canal du Midi which is situated in the Languedoc region of France is most famous for wine tasting along with astonishing royal places, beautiful cafes and restaurants with astonishing variety of food and lovely gardens. Canal du Midi is one of the UNESCO’s world heritage sites. It has stunning medieval cities, cathedrals and ancient ruins. People who love museums will be definitely most happy visiting Narbonne, Toulouse and Castelnaudary. Some of the sites you should visit without forgetting are Roman Narbonne, a beautiful city with historical importance, Oppidum d’Enserune ruins, Cité de L’Espace, a space museum situated in the city of Toulouse. It is a place made for family holidays. You can have fun time with your family and children in amusement parks such as Chésa Leisure Park situated near Carcassonne and Luna Park in Le Cap d’ Adge. Kids would love to engage themselves in safe and sound water sports provided by the Lac de Jouarres situated in Homps and Toulouse’s Cité de L’Espace! And don’t miss to try the delicacy casserole, a slow cooked meat and beans. Summer would be a great season to visit this place as you wouldn’t miss the summer festivals such as Beziers bull fights. The main attraction of the Canal du Midi is its wine testing. You could tour the vineyards, vine caves with the cycling facility provided in the area. The quiet waters of Veneto are waiting for the boaters with romantic and beautiful Venice, exotic beaches, variety of seafood restaurants and art and crafts for which Italy is known. The entertaining boating in Veneto offers opportunities to play golf. One of the best golfing courses- the 18- hole course set Golf Club Villa Condulmer is situated near Casale. The kids would love gondola riding in Venice and Water Park in Jesolo. They also have family friendly resorts. Everybody loves Italian food. Try the extraordinary cuisines such as pasta e faxioi, rixoto de gò, fegato ala venesiana and there is of course famous Italian fizza. You can also take cooking classes adding number of cuisines to your home list. Take off some time to visit glassware in Murano and to visit Jesolo’s Villa Saccagnana. Fishing enthusiasts make it a point to visit Venetian Islands in which fishing flourishes. It is the land of thousand lakes with rivers and streams. It provides fun activities such as hiking, biking, swimming and water sports. It is one of the best holiday destinations for nature lovers with its natural reserves, forests and bird watching. It is also a place of historic importance with medieval villages and historic cities. It was chosen as the biosphere reserve of the UNESCO in 1991 itself. With its wildlife, forests and meadows, it is a heaven for nature lovers. The important places to visit are the Spree Wald in Brandenburg and Müritz National Park situated in Mecklenburg which provides trekking and cycling opportunities. It is also a place made for the water sports. There are number of water sports with safety being the first concern. 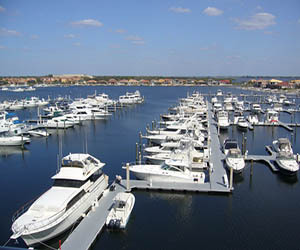 You could try your hand at water skiing, jet skiing and wind surfing. One of the Mecklenburg’s district- Lakeland is famous for mainly water sports. It can also be a fun and educational holiday for the kids. You can spend a valuable time with your kids at Müritz Museum and aquarium. The family could also learn about bee keeping. Visit Ireland’s Shannon with your cruise to enjoy crystal clear water, fishing and golf, traditional music. You can also explore the ancient churches. It contains six of the world class golf courses. If you are the person who enjoys golf this place will never disappoint you. One of the best golf courses is at Slieve Russell Hotel situated in Ballyconnell. It is mainly famous for medieval churches and monastery ruins in terms of historical heritage. Make it a point to explore ruins of Clonmacnoise which was built in 6th century, Portumna Castle and Boru Heritage Centre. The Shannon is a perfect place for fishing with its famous hefty brown trout. It is one of the top fishing centres of Ireland. I guess you have your own fave places to visit and stores to buy sailing equipment from, but do give Sailing Buy a visit for the discount offers and be sure to have a go at navigating your way up the Theames if ever you get chance. Let me know how you get on!